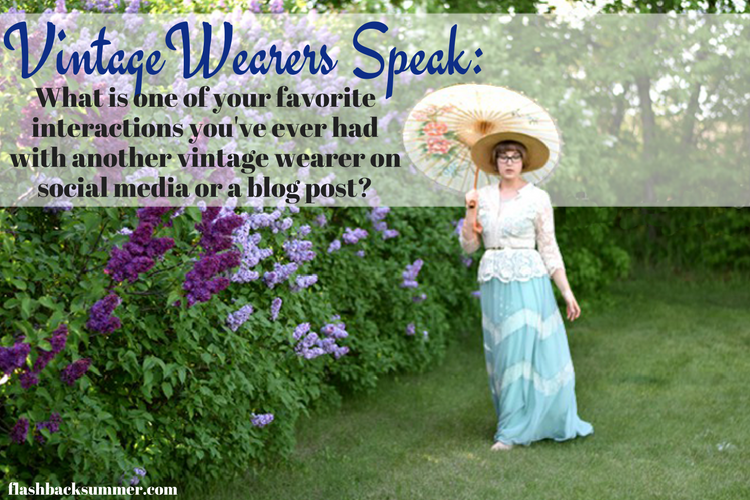 Vintage Wearers Speak: What is one of your favorite interactions you've ever had with another vintage wearer on social media or a blog post? 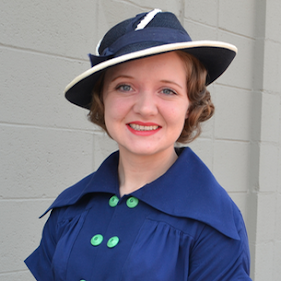 This post is the second of eight in the "Vintage Wearers Speak" series. Read more about the series and find the other posts here. Q: What is one of your favorite interactions you've ever had with another vintage wearer on social media or a blog post? My favorite was actually an online-to-real-life interaction! I was hiking in a canyon in New Mexico when I passed a woman and her family in a narrow part of the trail. She recognized me and turned out to be a reader of the blog, Deanna! SO random and so fun to meet her in person. I love when descendants of the designers I write about comment about the memories they have of their aunt or grandmother. On an almost daily basis I have so many positive interactions with other vintage wearers on instagram that no single experience comes to mind immediately, but there have been a couple times in real life when someone will recognize me in person from my feed and tell me how much they appreciate the information and inspiration I provide, and that delights me to no end. I think having Emily of Vintage Visions, the Boyer Sisters, and Jessica of Chronically Vintage be willing to answer interview questions for blog posts! One of my favorite interactions was for the Sew Weekly blog, back quite a while ago. A bunch of us all were challenged by Mena to create something with the same lace. It was sort of like a vintage sewing chain letter, and it was great fun to see how creative everyone was with the same trim. It was called "A Common Thread", and it's still up on the Sew Weekly site. I can't name just one as I really enjoy all online interactions with fellow vintage wearers, tho when Emily The Vintage Doll gave me a shout out and called me the "real deal", that was exciting! After my first PinUp contest, Stormy June (@stormyjune1), one of the judges, complimented me on my performance via Instagram. That showed to me that she was genuine & truly interested in the contestants! The incredible Jessica at the (now closed) Chronically Vintage blog was always so friendly and helpful to me, especially when I first started my Etsy shop. She helped me out with advertising my artwork and always left encouraging words on my blog; that meant a lot. I don't think I have just one favorite interaction. My overall experience with others from the vintage community has been wonderful, because of how much positivity and kindness is expressed on social media from all parts of the world. However, I do really like it when another vintage wearer and I have the same sewing pattern or want to make a similar garment and we share tips, advice and inspiration! I have had some amazing interactions just because so many people have supported me and my website. One of my favourites would be getting help from American Duchess when I was working on a sewing project. It was the most exciting thing, since I love their company and blog and have for years now. 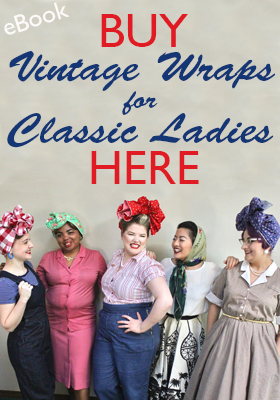 I followed Jessica Cangiano, of Chronically Vintage for a few years, and in the early days I was a bit of a lurker! Over time I slowly started leaving comments on her blog, and when I started my own blog last year, she was the first blogger to ever leave a comment. In September of 2016 I was able to meet up with her in person, while she was on holidays in Edmonton, AB. (Sadly, it was only a month after our meeting, that she and her husband lost their home in the fire.) I am so glad that I got to meet up with her, and we still keep in touch, though rather sporadically. In general, I love that through social media I can see how the vintage scene looks like in different parts of the world. I also really like that Instagram lets me interact with bloggers I admire, which wasn't possible before since I don't run a blog. Examples? (Flashback Summer :D or The Dreamstress). Being a vintage blogger and into vintage clothing I have chatted with so many wonderful like-minded women and men online, but my most favourite interaction(s) was with Jessica from Chronically Vintage. She is a fellow Canadian, likes many of the same things as me, and is the nicest person on the planet. When we were finally able to meet earlier this year in person, it felt like we had hung out a million times before. Her online persona is her real life persona and that is why Jessica is my favourite interaction. Well my favorite interaction with another vintage wearer was when I meet you [Emileigh] just by chance on my families’ vacations in New Mexico. To be on a hike in beautiful New Mexico and to meet one of my favorite vintage bloggers on that hike – WOW! My handmade leather goods company, Well-Loved, has given me some meaningful interactions online, but my favorite are in person, at a market or pop up shop. I love talking to mothers and daughters about my own family history, and the heirlooms that inspired my current products. 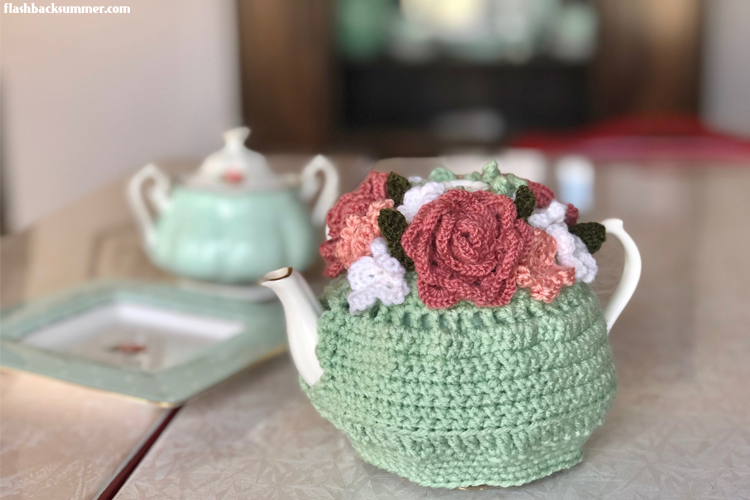 There is this beautiful cycle that happens, the mother reminisces about her favorite accessories and then starts sharing her mother’s favorite items too. I have always treasured family stories from the past and I am thankful when my products spark a sharing of family history and heirlooms between generations. Time for you to share! What has been your favorite interaction on social media (or, heck, social media that lead to an "IRL" meeting)? What what wonderful Answers! So great to hear everyone's fav interactions are. Thanks for including me! Costume college sounds SO fun! I hope to go someday, too! That's what so great about the online vintage community - it really has so many moments when it feels warm and fuzzy and like a community. I remember when the first bloggers I was following and commenting on came to my blog and left comments (and Jessica Cangiano was one of the first for me too). The first Vintage Secret Santa was a big moment too. From this online community came an actual Christmas parcel that arrived at my house on Christmas eve and sat there with my other presents waiting to be opened! It was so heart-warming. That is so true! Jessica is really great at commenting and "meeting" people online. The secret santa was really fun, too!